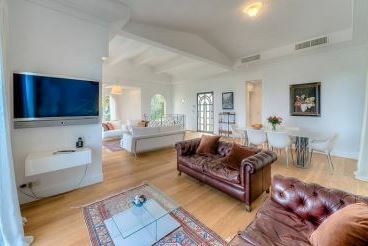 This beautifully renovated villa is situated on the east side of Cap d’Antibes. 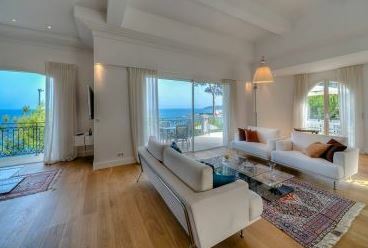 The property is in a truly stunning waterfront position that affords it incredible panoramic sea views. 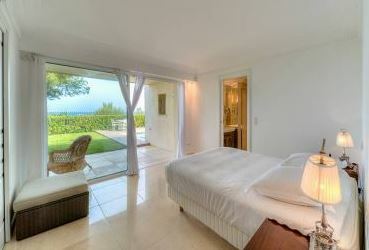 The villa comprises of 3 bedrooms with 3 bathrooms that are all wonderfully decorated and furnished to a high standard. There is also an independent room in the studio. The living spaces are spacious and bright with floor-to-ceiling windows and access to a large terrace, furnished for outdoor dining. 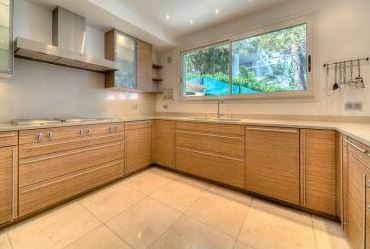 A fully equipped kitchen has all the modern appliances. Guests can enjoy a fantastic swimming pool with a sun deck and loungers.